provide hydro-mechanical hole-cleaning solutions integrated into the drill pipe. Efficient hole-cleaning results in less nonproductive time. 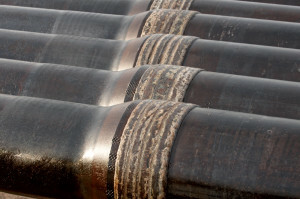 Just as wells have become longer and more complex, drill pipe is not what it used to be. Improved steel grades and connections for conventional pipe, advanced materials for extreme environments, wired drill pipe that can deliver significant amounts of data, and durable hardbanding systems that extend pipe life while protecting casing are all on the table. 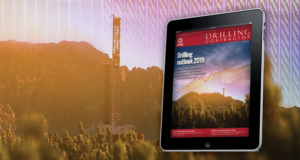 “Extended-reach drilling (ERD) has already achieved remarkable milestones with wells like ExxonMobil’s OP-11 with a measured depth of 40,502 ft and a horizontal departure of 37,648 ft,” said Mazhar Mahmood, global product line manager – drill pipe for VAM Drilling, a company in the Vallourec Group. For the near term, material benefits and new designs of any major breakthroughs will have to take into consideration additional cost to the customer, Mr Mahmood believes. “In terms of mechanical properties like torque, tension and hydraulic properties, we already have enough torque to drill what we need. 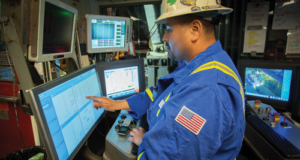 For drill pipe connections, the focus is on how to generate more operational efficiencies and reduce repair costs. “The US unconventional market is quite unique in terms of drill pipe lifecycle costs; drilling practices in most cases render the life of drill pipe significantly reduced due to premature midsection tube wear, handling damage to double-shoulder connections, excessive repair rates and associated high repair costs,” he continued. 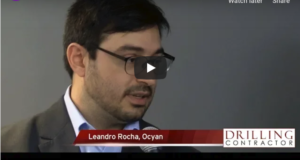 For a shale well in Poland, the company designed a custom solution to allow the operator to drill and core using the same drill string, eliminating the time and cost of making multiple trips to change the string. The proposed operation will use a custom high-performance, 5-in. drill pipe for coring with a minimum drift of 4 in. in the vertical section of the well. NOV has embraced wired pipe technology to enable drilling automation. The technology prevents delays in data transmission that can prevent an automated closed-loop control system from working. 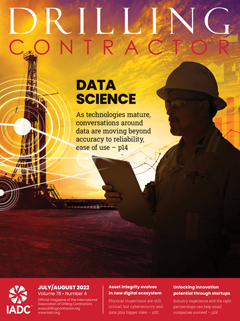 At a data transmission speed of 57,600 bits/sec, wired pipe can remove that barrier to automated drilling. In the next three to five years, the growing offshore market will also be a major focal point for drill pipe innovations. In particular, advances in risers, landing strings and other essential products are seen as the next frontier. “As the drilling envelope gets deeper, landing strings will need to be as light as possible to carry more payloads,” Mr Mahmood said. Some customers are looking at using a single string that can perform the dual functions of drilling and landing the casings. 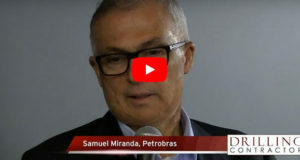 There also will be special designs for drill pipe risers in special environments like Brazil because of the water depths combined with high sulfide stress cracking (SSC) resistance. For extreme environments, Vallourec sees demand for higher-strength steel grades. 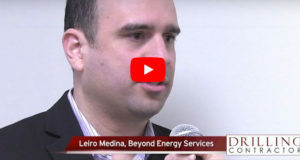 “The newer grades have specific steel chemistries and heat treatments that enable deeper or farther drilling without making the drill string heavier, hence increasing the rig capabilities,” he explained. 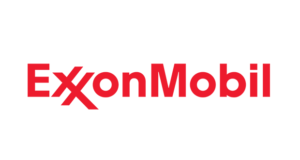 The company also anticipates new challenges associated with sour field exploration and development, which requires new highly engineered drill string solutions to increase the safety margin related to SSC failure risks, especially in the upset and welded zones of the drill pipe. 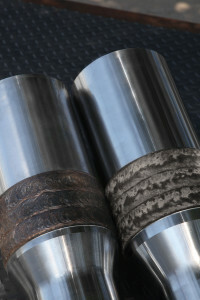 Even though the Arctic drilling market is not yet mainstream because of regulatory, environmental and equipment concerns and the narrow weather window, VAM Drilling has introduced proprietary steel grades for Arctic drilling that combine high strength with high toughness guaranteed at the extreme low temperature of -60°C (-76°F). “The region holds vast potential for meeting future energy needs,” Mr Mahmood pointed out. Additionally, Vallourec is offering hydro-mechanical hole-cleaning solutions integrated into drill pipe. The existing VAM Drilling Hydroclean and the latest-generation Hydroclean Drill Pipe have helped achieve rig time savings through efficient hole cleaning, resulting in less nonproductive time, he continued. 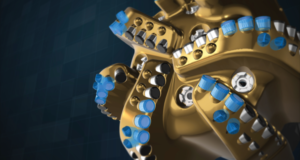 NOV IntelliServ’s inductive couple IntelliCoil is embedded in the ends of each piece of drill pipe to accomplish data transmission across tool joints. A significant drill pipe innovation gaining traction in the sector is wired drill pipe, thanks to a push from a growing body of operators who believe in the value of the technology, said David Pixton, senior fellow with NOV IntelliServ, a joint venture of National Oilwell Varco (NOV) and Schlumberger that provides high-speed, high-volume and high-definition downhole data via wired drill pipe. Since wired drill pipe emerged in 2005, early apprehension has given way to increased interest and industry acceptance of what the technology can achieve in a variety of land and offshore applications. 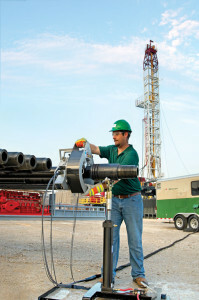 Unlike conventional data-transmission tools located at the end of a drill string, wired drill pipe comprises the entire drill string, meaning everything in the string is wired between data-generating (or data-consuming) tools in the well and computerized applications at the surface that interact with the downhole tools. The technology offers a data transmission rate of 57,600 bits/sec, magnitudes faster than mud pulse, and offers the advantage of looking at points all along the drill string, in addition to the bottomhole assembly (BHA). Wired drill pipe can be particularly beneficial in situations where there is a need to communicate directly with the BHA. In some cases, wired drill pipe provides the only means of doing this. “Some customers operate in the realm where mud pulse technology doesn’t work because they need to monitor conditions continually even when there is no flow, or they are working with aerated muds or other fluids not compatible with mud pulse,” Mr Pixton explained. In one instance, an operator was losing drilling fluid, but the mud pulser wouldn’t allow aggressive use of lost-circulation material. 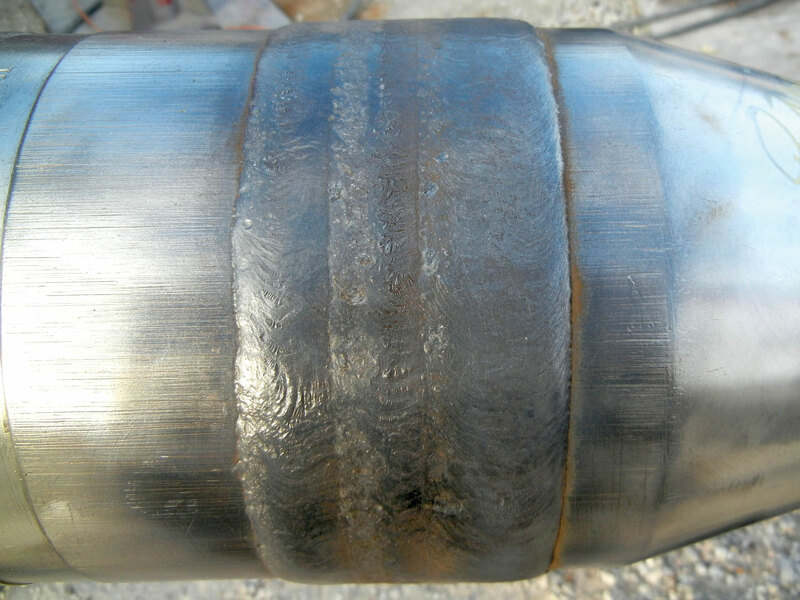 With wired drill pipe, which functions independent of the fluid, the customer was able to reduce mud losses. Another application is in environments where high-resolution data is critical and can’t be delivered in real time by conventional downhole tools. 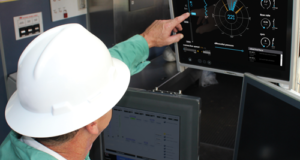 For example, sometimes an extremely tight pressure window requires high-quality real-time monitoring in order for the well to be drilled. “With mud pulse technology, an operator either has to wait a long time to get high resolution, or play a guessing game by trying to interpret a fuzzy picture,” Mr Pixton said. The necessity for high-speed, high resolution data for better well placement is an industry driver. “This technology can deliver timely and high-resolution feedback of positional and other logging data that can help steer the well very precisely to reduce tortuosity, stay within the formation or create the desired wellbore profile in that formation,” he explained. “Alternatives are to log the well or obtain information when not drilling, which is sometimes not possible because of the need for timeliness of the information. It is also costly because it requires a trip and wireline run. 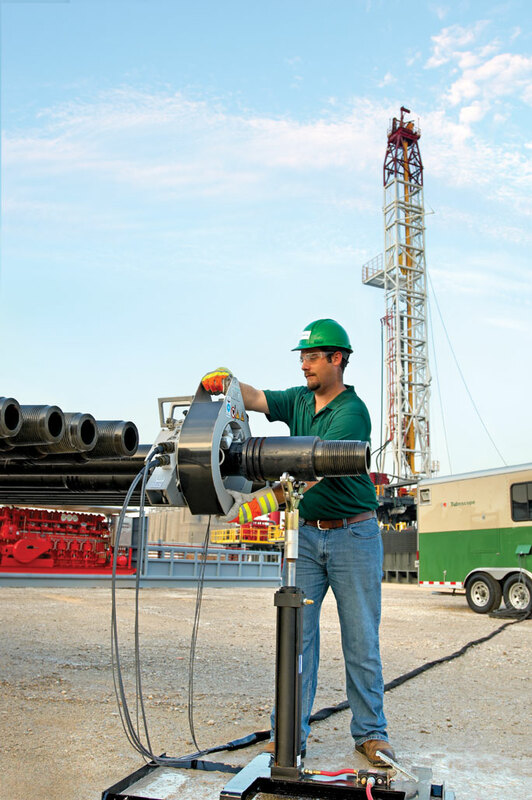 An NOV Tuboscope technician inspects drill pipe on a rig site; the service is typically performed after every other well. 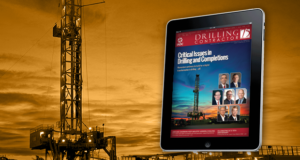 “Finally, when customers are in a drilling situation where downhole conditions are changing due to cuttings build-up, an incompetent formation, or geologic movement of the well, they need very timely data,” Mr Pixton continued. The IntelliServ technology is now available under a different delivery arrangement that enables more cost-effective access to operators globally. Wired drill pipe will be available through drill pipe rental companies or rig contractors in place of conventional drill pipe. The electronic components required for high-speed data transmission on a wired drill string will be provided through MWD companies, enabling them to offer an enhanced version of their current telemetry services. 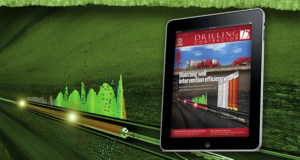 IntelliServ will enable and facilitate these measurement companies to develop their measurement tools for along the drill string, in addition to BHA-based tools. 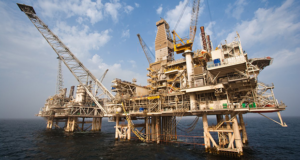 This may include the adaptation of existing measurement tools, such as vibration or ECD measurement tools, to a design that can be distributed along the drill string, or the development of entirely new sensors or measurements. Even existing tools, such as circulating subs or underreamers, may be enhanced by enabling actuation by commands sent from surface. ERD also has pushed demand for hardbanding, a specialized consumable applied to the external surface of drill pipe tool joints to protect against abrasive wear and thus extend the life of the pipe. 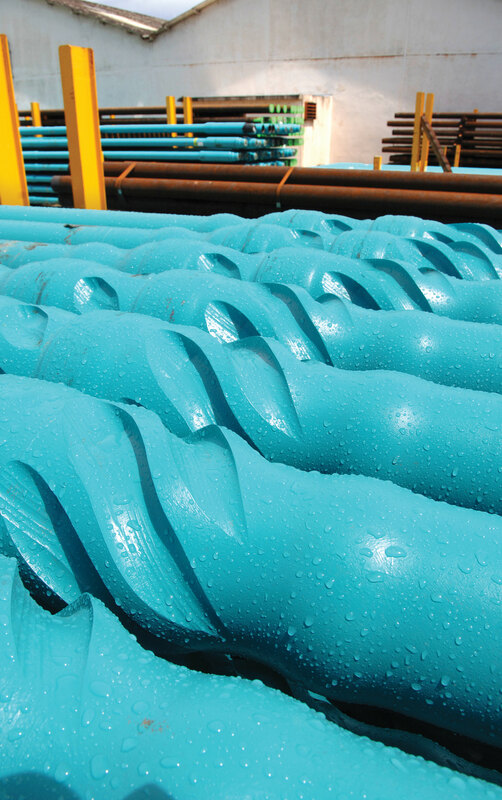 Hardbanding is typically specified and applied as part of the drill pipe manufacturing process and, depending on factors such as abrasiveness of a particular formation and the performance quality of the hardbanding, eventually wears down and needs to be re-applied. Reapplication occurs either in the field or at a nearby facility by a certified applicator. Throughout the life of the drill string, hardbanding may be applied a number of times. The company launched its casing-friendly TCS 8000 hardbanding (left) in 1998 in response to an increase in extended-reach drilling. The newer, TCS Titanium products (right) was designed for more challenging well environments. NOV Tuboscope’s offering of hardbanding materials is part of a total package of reclamation, inspection and repair services for used drill pipe. 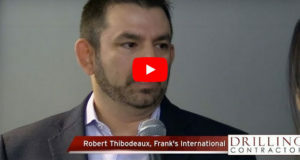 The company has 80 mobile hardband units in all major basins, including the Bakken and Eagle Ford plays, said Mark Juckett, hardbanding product line manager. 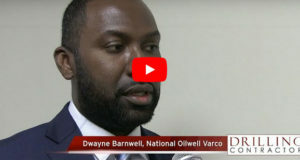 Drill pipe is typically inspected after every other well, while hardbanding is reapplied as needed pending evaluation, he said. “With the advent of ERD, requiring long sections of casing, in the 1990s, hardbanding went through a transformation, with the need shifting from protecting the tool joints to being less abrasive on the casing, or ‘casing-friendly,’” Mr Juckett said. The company’s TCS hardbanding alloys are designed to ensure joint integrity and crack resistance, as well as casing protection for a wide range of downhole applications. In 1998, Tuboscope launched its TCS 8000 hardbanding alloy, a non-abrasive casing-friendly product that is still used today. 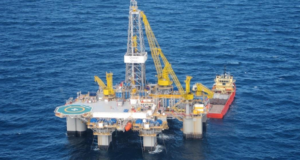 In the Gulf of Mexico, one major operator selected the TCS 8000 line for challenging wells where multiple laterals were being drilled from a single borehole, requiring the pipe to be run in and out of the casing. “Every time the operator drilled a new well, the pipe would come in contact with a certain part of the casing, and the operator wanted that casing protected,” Mr Juckett said. Tuboscope’s newer TCS Titanium alloy is a more durable hardbanding product that provides casing protection in more challenging well environments. The company also manufactures a TCS Non Mag hardbanding alloy for non-magnetic chrome drill collars used to house steering tools. “The product is designed so as not to interfere with the electronic capabilities of the steering tools,” Mr Juckett explained. Applied as either a stand-alone material or with the addition of tungsten carbides, the Non Mag alloy is highly durable and features welding characteristics that eliminate high heat inputs in the welding process, preventing hot spots, he said. Arnco also is investing toward qualifying its next-generation products for extreme environments, such as sour service and HPHT wells. The 150XT and 350XT have been successfully tested as H2S-resistant, and additional testing is under way to evaluate the effects of extraordinary temperatures downhole on the microstructure of the hardbanding alloy. Arnco Technology’s NonMagXT is applied to non-magnetic drill collars that utilize specialized directional equipment to measure various parameters while drilling. Duraband NC hardband is crack-free and casing-friendly. It is also 100% rebuildable and can easily be applied over most other hardbanding products. Hardbanding Solutions by Postle Industries, entered the hardbanding business in 2003 with a hard, non-cracking product called Tuffband NC that prevents spalling, a process that occurs when chunks of hardbanding come off as a result of water, liquid or mud seeping into stress cracks, as well as multiple re-applications. The company has since developed Duraband NC, which field testing shows can outperform Tuffband 4 to 1. Both products are crack-free, casing-friendly and 100% re-buildable, meaning new hardbanding can be applied over existing layers. 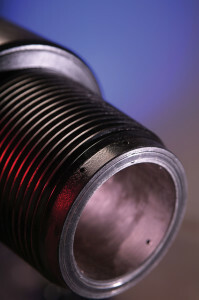 They also are suited for H2S environments, where severe conditions can corrode and severely damage pipe. Ultraband NM, designed for non-magnetic applications when electronic tools are used in the pipe, was introduced in November. 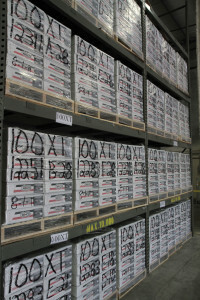 Crates of Arnco Technology’s 100XT hardbanding product are prepared for shipment. A new-generation version of the hardband has been developed with increased wear resistance. If casing wear is not a concern, tungsten carbide can be added to either Duraband or Tuffband. “A recent test in Canada showed that if tungsten carbide pellets are added to Duraband instead of mild steel welding wire, the wear resistance can improve by nearly 500%, drilling 200,000 ft instead of 40,000 ft before replication is necessary,” Mr Stefanic added. The company has established technical centers in eight locations globally to certify applicators and provide customer support. In 2012, the company introduced a program to identify the experience levels of its applicators, following guidelines that have been developed for pipe inspectors. The company’s new field training program has been effective in emerging markets where hardbanding is being introduced to support new and under-served drilling markets. “There is a lot of education involved in helping people understand that they can’t put the same drill pipe used in straight holes into deviated holes,” Mr Stefanic said. Hydroclean is a trademarked term of Vallourec. TCS is a trademarked term of NOV Tuboscope. 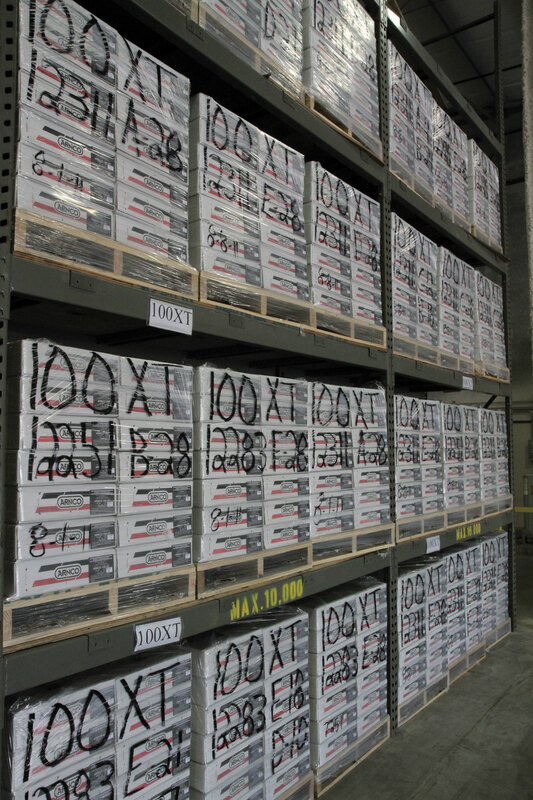 100XT, 150XT, 300XT, 350XT and NonMagXT are trademarked terms of Arnco Technology. Tuffband NC and Duraband NC are registered terms of Postle Industries. Ultraband NM is a trademarked term of Postle Industries.